The beginning of the month began with a hangover from July. Lord Kalms, Ali Miraj and Lord Saatchi had just intervened to add to the opinion poll gloom clouding the Conservative Party. But a ConservativeHome poll of members found that 87% wanted David Cameron to continue as leader. Members were divided on whether there needed to be a change in strategy but they were very largely united in support of Mr Cameron’s leadership. The same survey identified Michael Gove as the favourite new member of the shadow cabinet. Concerns about Lord Ashcroft surfaced for the first time in the month. First, The Guardian raised the alarm and then The Daily Mail’s Peter Oborne spoke of Lord Ashcroft’s coup d’etat at CCHQ. ConservativeHome readers were divided as to whether he was a good or bad thing. His fans paid tribute to his generosity to the party and the desperately-needed business discipline be brought to operations. His critics worried that no single donor should ever enjoy such power in a political party. This is a concern that is set to rumble on. The introduction of a blue version of the Tory logo generated quite a little bit of summer silliness. Was it a sign that Team Cameron wanted to reassure its core supporters? Throughout August there were certainly many actions that reassured the base. There was William Hague on Europe. George Osborne signalling that the Tories hoped to cut inheritance tax after he had helped John Redwood launch the policy group report on economic competitiveness. David Cameron put crime and social breakdown at the heart of his attempt to discourage Gordon Brown from holding an autumn election. And then, in a very impressive performance on Newsnight, David Cameron told the nation that immigration was "too high". August saw two of ConservativeHome’s 100policies ideas adopted. Damian Green announced welcome action against forced marriages (originally proposed by Louise Bagshawe) and David Cameron announced that underperforming primary school pupils could be forced to resit Year 6 (Richard Robinson’s idea). John Biffen died. David Cameron described him as "a thoughtful and principled politician". British public life lost a great man. 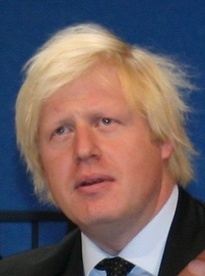 Ken Livingstone unleashed a round of attacks on Boris Johnson. First London’s black communities were stirred up into some strong attacks on the Henley MP and then the left-wing Compass group attempted to portray him as Norman Tebbit in a clown’s costume. None of this dented Tory support for Mr Johnson. 70% told ConservativeHome that they intend to vote for him in the primary contest. ConservativeHome revealed that healthcare would begin David Cameron’s fightback on his return from holiday. We then defended CCHQ after errors in a list of threatened hospitals caused excitement at the BBC. The work-rate of frontbenchers became an issue because of an investigation by the FT’s Jean Eaglesham. She discovered that frontbenchers held 115 outside interests. I set out my overall view on this issue here. My highlight of the month was ConservativeHome’s What David Cameron Should Do Next series. Matthew Parris, Ruth Lea and John O’Sullivan were amongst the A-list of contributors. The opinion polls at the end of August sent out conflicting messages. YouGov gave Gordon Brown an 8% advantage, MORI a 5% lead and Populus put the parties just 1% apart. September will begin with the Tories publishing their public service policy group and it will also include controversial recommendations from John Gummer and Zac Goldsmith on green taxation. Cameron is likely to embrace the tax ideas but reject proposed limits on airport expansion. Douglas Alexander has said that no election will be called within the next seven days but noone can be sure if October’s Tory Conference will even meet. There’s a 50/50 chance that we might all be on the election trail by then. Once he had overseen the Foot and Mouth scare, Gordon Brown was relatively quiet in August. He calculated, perhaps, that activity in August isn’t widely noticed. He’ll probably re-emerge this week with a series of significant interventions. The quality of those interventions and the opinion poll reactions to them will determine whether or not he goes to see the Queen and calls the much-discussed autumn election.